As part of my research for The Music of the Lord of the Rings Films I was granted access to Howard Shore’s full archive of recorded materials. 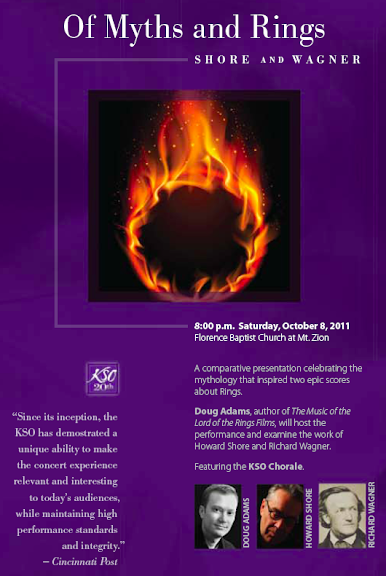 This included every single take from months of recording sessions on Fellowship, The Two Towers, and The Return of the King, as well as electronic mock-ups of themes, DVD recording sessions, unused songs and lyrics, etc. All in all, it was enough raw audio to keep me in a listening room for a few hundred hours or so. Fortunately, I was able to space out these review sessions over the course of a year-and-a-half, during which time I catalogued everything I found on CD-Rs, DVDs, and abandoned hard drives, then proceeded to litter Shore’s offices with a self-devised system of post-it notes and red markers … a trail of breadcrumbs I could later use to retrace my steps. But more pressing than the logistical concerns were the creative ones. How on Earth could this material be properly presented? We toyed with a number of ideas, but ultimately decided to let Tolkien be our guide. The Rarities told two stories, one Tolkien’s, one Shore’s. If we could retain that drama, then shape something beautiful – not simply catalogue it – we’d have a piece worthy of the lineage. Tracks were chosen to present all our major discoveries – and believe me, it was an incredible task to ensure we squeezed everything in. They were then set into story order so as to both illustrate Shore’s creative process and echo Tolkien’s narrative voice. Finally, the music was cleaned up and remastered by Jonathan Schultz, who worked on the film scores, the original soundtrack CDs, and The Complete Recordings. As a special bonus, we included a short discussion between Howard Shore and myself at the end of the album. The result is something that can be either studied as a fascinating collection of rare materials, or listened to as a well-rounded album experience. I think this disc is every bit as unique as the book it accompanies, and a beautiful finale to the music of The Lord of the Rings. 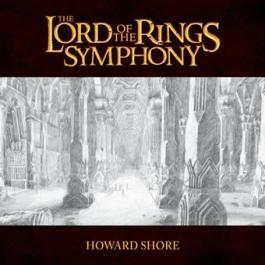 I’m incredibly thankful to Howard Shore and Howe Records for allowing me to be a part of it.